Paintings by Eidenberger – experience the fine art of a famous artist. The oil paintings Eidenberger Josef are popular all over the world . His concise and technically complex style is known and popular . 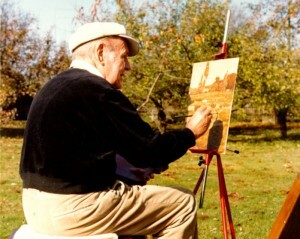 In the summer months , when it was too warm for the etchings, he spent several hours in nature and was painting.